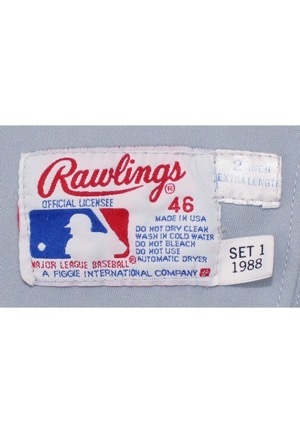 On the front left tail is the Rawlings manufacturer’s tag size “46” with washing instructions. Attached is a flag tag reading “SET 1 1988” and a strip tag reading “2 INCH EXTRA LENGTH”. 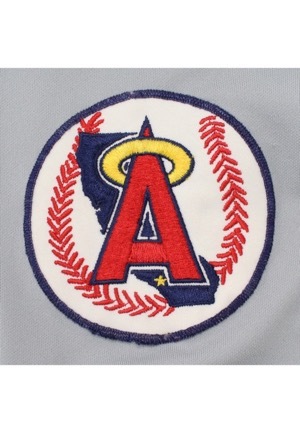 On the left sleeve is an Angels team logo disc patch and on the right sleeve is a “Rawlings” logo embroidered. Across the chest reads “Angels”. 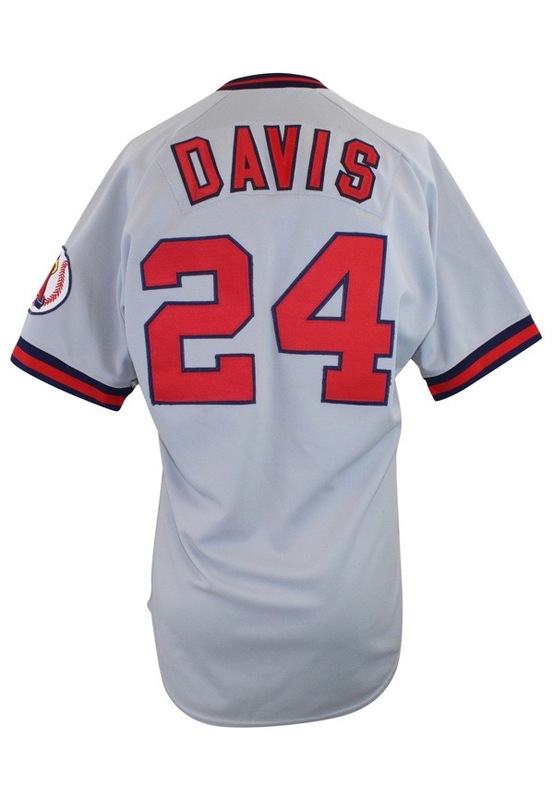 Adjacent below and on the back is the player number “24”. 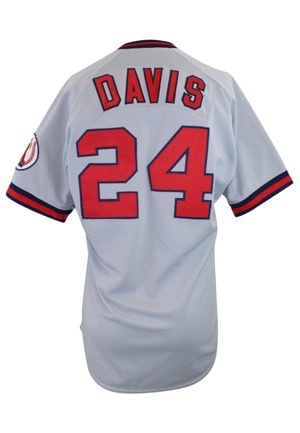 Across the back on a grey nameplate is the player name “DAVIS”. All numbering and lettering is done in red on blue tackle twill. 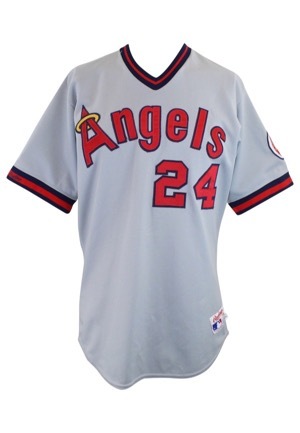 This jersey is properly tagged, was presented to us as game-used and in our opinion shows excellent use.